In local or foreign politics, it is rare for rival parties to acknowledge achievements of each other. The situation is not helped when one party faces the task of dislodging a ruling party. Even in an advanced democracy like the United States, opposition Democrat currently stick more to the combustive personality of President Donald Trump than allow themselves (Democrats) to be overwhelmed by the brighter side (of Donald Trump), the otherwise booming economy and the attendant massive employment. That exactly is Nigeria’s case on the eve of the presidential election, especially in assessing the performance of President Muhammadu Buhari and his APC administration. Among the criteria for assessment are the anti-war policy, security and infrastructural development. The performance can be classified into two – visible and invisible. Even where good performance is visible, credit is being denied on the ground that such projects were initiated by either the PDP or former President Goodluck Jonathan. Even, this is the only the latest convenient denial of what are generally acknowledged. Before now, the denial was that there was ever any change. It is of course unfair to compare Buhari’s administration to only the six-year tenure of ex-President Jonathan, who must not be made to carry the can for the 16-year PDP rule. If, therefore, Abuja rail project was to PDP’s credit, should it have taken 16 years without completing such project? And even if it is conceded that Buhari inherited and completed Abuja metro lines, such could only have enhanced his (Buhari’s) reputation for introducing something new into governance in Nigeria – continuity. Before Buhari, there was nothing of such in government policy. Abandoned road and other projects were the unwritten policies of federal and state governments. With this new policy of completing inherited projects, anybody after Buhari, be he APC or PDP president, has to sustain that policy. A major change since 2015. Every part of the country now experiencing railway infrastructure, on a scale not experienced even under colonial rule. Rail line to be extended to Ijebu-Ode, Ondo and Ekiti? It sounds like a miracle. Again, even if conceded that rail infrastructure started under PDP administration and Buhari accordingly does not deserve the credit, then the PDP and former President Olusegun Obasanjo could only have roasted themselves against the claim of credit for mobile phone in Nigeria since neither PDP nor Obasanjo introduced the system in the country. Rather, mobile phone system was the main product of former President Ibrahim Babangida’s Structural Adjustment Programme of 1986, which, as a deregulation of the economy, compelled the end of NITEL’s monopoly of telecommunication services in Nigeria. The temporary product was the 090 mobile phone system pending the nationwide installation of necessary infrastructure like phone masts and underground cables by foreign investors like MTN and Econet. Despite all criticisms against him, General Sani Abacha, who succeeded IBB, maintained the infrastructural development for the GSM just as General Abdulsami Abubakar, only for Obasanjo and his PDP to inherit the glory within few months of their assumption of office. If the PDP and Obasanjo undeservingly cling to GSM glory, why try to deny Buhari the rail infrastructure glory? 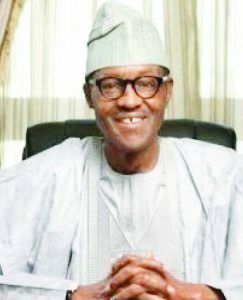 In contrast, when, within few months in office, Buhari launched a power project somewhere up country and was praised for the subsequent improvement in power supply, he (Buhari) was humble enough to disown that glory with the explanation that the power project was nearly completed on his assumption of office and that he merely launched it. Those denying unprecedented road infrastructure in the country in the past almost four years cannot be taken seriously even for partisan politics. Depending on where Nigerians commute or reside, there is hardly any part of the country currently not experiencing massive road reconstruction, if not construction. Again, false claims are being made on who or which administration merits credit for the remarkable feat. Before Buhari, such road contracts were awarded by federal and state governments concerned only to discover that funds were paid from public treasury to contractors who did no job. Given the background of criticisms against Buhari that he is not pro-South enough, locations of the highways and roads under construction are illuminating. What is more, if the roads and highways under construction or reconstruction by the administrations of Buhari’s two southern predecessors, within their combined 14 years tenure, current efforts of Buhari might have been focused on more other roads in the South. Currently under construction or major reconstruction are Lagos-Ibadan-Oyo-Ogbomoso-Ilorin, Onitsha-Enugu-Port-Harcourt, Lagos-Ota-Abeokuta, Aba-Port-Harcourt, Yenagoe-Kolo-Otuoke-Bayelsa Palm-Lokoja-Benin, Auchi to Okene, etc. Of course, similar construction and reconstruction of roads are going on in the North. It is, therefore, no special favour to the South for the concentration of road construction or re-construction. The more reason such government attention should have featured under Obasanjo and Jonathan. In the past, contracts were awarded and re-awarded in such a way the projects could not take off as contractors lacked the funds with which to take off and yet it was impossible to revoke the contracts without almost rendering government bankrupt with compensation. In short, those who awarded the contracts had ulterior motive to loot public funds indirectly and seeming legally. The difference now is clear. Commuters on Lagos-Ibadan Expressway the genuineness of the Lagos-Ibadan road contract, which is at least near half completion, a tribute to the Buhari administration. Time there was when the Abuja-Lokoja was virtually invitation to death, for travellers. Among those thereby consumed were General Rufus Kupolati, Senator Ahmed Tijani and ASUU’s Festus Iyayi, all mourned only because of their prominence in society. Scores of other unknown Nigerians would number among fatal casualties. Buhari administration had to tackle that ever-present danger with all seriousness. Other parts of the country are also experiencing massive road reconstruction. For example, for 16 years before Buhari’s assumption of office, Second Niger bridge linking Asaba to Onitsha was a campaign promise at every election. Now, even former Vice-President Atiku Abubakar had to pledge that, if elected the President, he would complete the Second Niger Bridge under construction by Buhari administration. Power output in the last four years? Not in any way near Nigeria’s need for domestic and industrial purposes. But the fact that power capacity doubled within four years for the first time in Nigeria’s history is praiseworthy with commensurate impact on domestic and industrial needs. The most controversial is the security problem, with main focus on Boko Haram. Again, the impression is that Nigeria is under siege but the reality all over the world is that no country in the world ever fully recovers from insurgency. Northern Ireland? Afghanistan? Egyptian Muslim fundamentalists? Colombian guerrillas? After 50 years, Colombian government and the rebels reached a peace agreement, which soon broke down within a couple years and provoked newly elected President Ivain Duque Marques to cancel all negotiations. Another faction’s rebel leader ensured return of violence. Sectarian violence in Northern Ireland lasted 30 years, leading to Good Friday agreement in 1998. Yet intermittent bombings or shootings still make total peace impossible in Northern Ireland and, only a month ago, a local court was bombed. The violence continued even on far less scale than in the past. In 2013, violence by Muslim fundamentalists was the reason General Abdel Fatah El-Sisi staged a military coup. Yet in 2017, the fundamentalists struck again with bombs, killing over 300. Afghanistan? The Talibans fought the Soviets to a standstill and, till today, are still holding out against Britain and United States armed forces with sporadic bombings and shootings. Insurgents? It is most uneasy to wipe them out. There have been other invisible changes since 2015 but largely taken for granted. For example, governorship of Central Bank is a tenured appointment. Yet, Obasanjo inherited Paul Ogwuma in 1999 but removed him and appointed Chief Joseph Sanusi. Obasanjo also succeeded Sanusi with Charles Soludo, inherited by late Umaru Yar’Adua. Soludo was also replaced with Sanusi Lamido Sanusi (current Emir of Kano). Goodluck Jonathan inherited Lamido Sanusi but replaced him with Godwin Emefiele, inherited by Buhari in 2015. So far, the noticeable change is that Buhari retains Emefiele whose major achievement is that he has stabilised the exchange rate without floating the naira. On assuming office in 2015, Buhari had to carry the burden of bailing almost all state governors from unpaid arrears of workers’ salaries. The change since then is that state governors are largely self-reliant in paying salaries. Currently, there seems to be very close monitoring of ecology fund for state governors to ensure proper utilisation, unlike in the past when state governors largely stole the money. Unlike in the past when even Federal Government took loans to pay salaries, the situation appears to have changed, except in matters of pay agreements with university lecturers, ordinary workers, doctors, etc, all which seem to be unduly unending, just as with previous administrations. Another change since 2015 is that, so far, elections are not to be postponed. In both 2011 and 2015, elections were postponed in well stage-managed INEC mid-night broadcasts. Campaigns for the elections have not featured any of the wives of the contestants unlike in the past when opponent of husbands became object of uncouth language. For the 2019 elections, religious leaders and middle-men have been reduced to total irrelevance. In the past, it was harvest time for the two groups – one collecting huge sums from government purportedly for prayers and the other for delivering to traditional rulers to ensure peace in their domain. The middle-men have no means of livelihood except intimidating government with spectre of communal violence. Nigerians have also noticed that, within the past four years, government has discouraged if not abandoned import duty waivers for these pastors in their trading businesses. What happened to private jets which before now littered our various airports, surely some changes even if not significant to some Nigerias.